Enforcing Maryland marijuana laws is still a top priority for law enforcement agencies throughout the state, but public sentiment about the drug may be changing the way police look at marijuana cases. Marijuana arrests still account for the majority of all drug arrests throughout Maryland, and in most jurisdictions the ratio of marijuana arrests to other drug arrests is not even close. For example, in Montgomery County 67 percent of all drug possession arrests were for marijuana possession in 2011, and a staggering 74 percent of all drug possession arrests were for marijuana in 2010. These numbers would be even higher if all drug cases processed by Montgomery County Police were included, because a large number of marijuana possession defendants are not arrested, but rather are issued citations for the crime. In contrast, suspects caught by police with other drugs such as cocaine or heroin are almost always arrested at the crime scene. 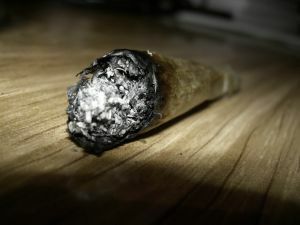 So far in 2012 the percentage of marijuana arrests to all drug arrests has fallen slightly to 63 percent. The question being asked now is whether this percentage will continue to drop as Maryland citizens and Maryland lawmakers become more tolerant of marijuana use. The Maryland legislature sent a major message to the public when it lowered the maximum penalty for possession of marijuana from one hear in jail to 90 days in jail. The Baltimore Criminal Defense Lawyer Blog has thoroughly documented the softening of marijuana punishments, which will take effect in October, but one topic that has not been discussed is how law enforcement will respond to the legislature’s message. It appears for now that Montgomery County law enforcement will continue to enforce Maryland’s marijuana laws, but Montgomery police may be shifting their attention and focus to marijuana dealers and suppliers rather than users. The head of the county’s drug enforcement section has gone on record stating that Marijuana will still be a priority due to the drug’s prevalence and availability, but county cops are being told to arrest the marijuana dealers, rather than to specifically target the drug’s users. This is clearly a shift in the traditional way we look at law enforcement. Police officers have always targeted certain crimes more than others, but when a top cop goes on record stating that certain laws will be enforced with more vigor than others, change is clearly in the air. There also may be a shift in the way marijuana possession cases are prosecuted by the state’s attorney. The Montgomery County state’s attorney, John McCarthy, has also gone on record with statements that would indicate a decreased focus on prosecuting marijuana possession cases. McCarthy spoke about moving toward a more intelligent and efficient criminal justice system, while balancing the public safety desires of Maryland communities. These statements seem to suggest that if public does not view marijuana users as a threat to the community, then the state’s attorney will not expend valuable resources to punish these marijuana users. There is no denying that over the last few years the Maryland public has become more tolerant of marijuana use or the marijuana bills would never have been signed into law. Therefore we should continue to see a decreased amount of law enforcement emphasis on marijuana possession cases as Maryland moves toward possible decriminalization of marijuana. 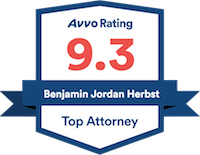 Benjamin Herbst is a Maryland marijuana lawyer who handles all types of drug possession and drug distribution cases in Maryland. If you or someone you know has been cited or arrested for a marijuana crime or any other drug crime in Maryland contact Mr. Herbst at The Herbst Firm for a free consultation. Maryland sees shifting attitudes on marijuana, gazette.net.